The act of making and drinking coffee has long been an art form. There’s the perfectly engineered coffee machine, the scientific precision of the optimum pour, and the ritual of the first sip. It’s no surprise then that fashion designers have found a home in the stylish world of the coffee house – and perhaps even less surprise that their eye for exquisite design has extended as far as fine-dining and mixology. What can retail design firms learn from this? As luxury retail becomes ever more experiential, the lines between fashion and food are blurring, and it’s guided designers like Armani and Prada from the catwalk to the kitchen. Here we explore the fashion designers creating beautiful places to eat and drink – and what they can teach visual merchandising agencies about experiential retail design. Why has food become fashion? The idea of designer restaurants invites a number of questions, not least about what to wear in such unapologetically fashionable places. But more philosophically, why are fashion designers compelled to enter the world of food? The answer lies in experience. As brick-and-mortar stores become more experiential, brands have the opportunity to conquer our every sense, including taste. It’s all a part of the changing definition of luxury. With fashion labels adopting an omnichannel approach and multiple touchpoints, what better place to capture the attention (and wallets) of engaged customers than at the dinner table? And of course, what better way for customers to enjoy a taste of luxury than on a plate. While not everybody can afford a £1,000 Gucci dress, most can stretch to a Gucci fish pie and chips as a treat. After all, Gucci is Gucci. Pay a visit to the Armani headquarters in Milan, and you can round off your retail therapy with a perfectly poured espresso at their newly renovated café on the ground floor. 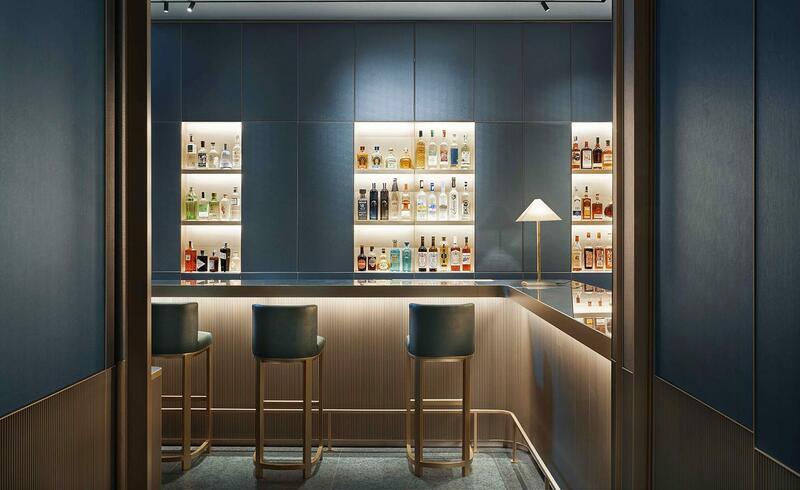 In fact, you can also sample a tasting menu before checking into the Armani Hotel Milan – a polished 5-star hotel that reflects the fashion house’s distinctive style. The renovation pulls from Armani’s iconic brand codes – strict lines, subdued blues, and the best quality materials – to create a truly couture dining experience. The café is in good company. In Milan alone, you can find a Prada panettone at the label’s bakery, a Bulgari spritz from the brand’s exclusive hotel, and a Chanel wine from one of the label’s three vineyards. 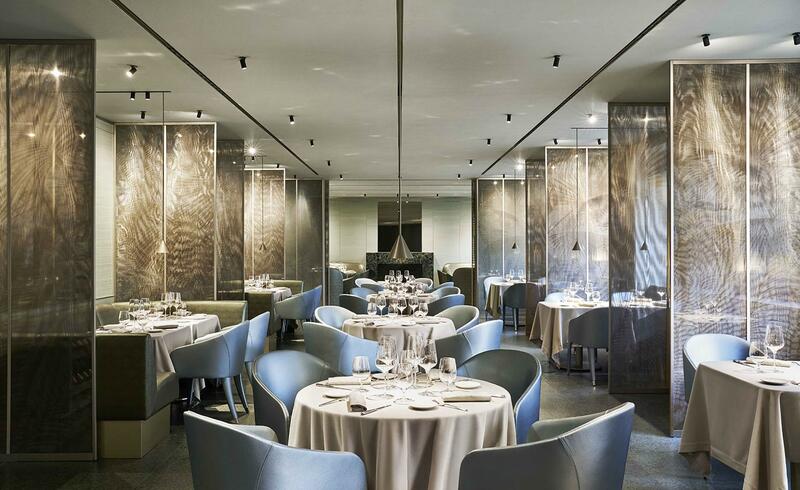 What can retail design firms learn from designer restaurants? For retail design firms, channelling meticulous brand codes into a brick and mortar store is a challenge in itself. Add in the complexities of designing an on-brand restaurant, hotel and coffeehouse, and the process becomes infinitely more complicated. But importantly, this new wave of designer restaurants highlights the growing importance of incorporating all of the senses into design. Luxury coffee houses, bars and restaurants aren’t popular simply because they’re Instagrammable, but because every sensorial experience is so perfectly tailored. A martini is prepared as carefully as a fine Rolex watch; the menu tailored as meticulously as a Brioni suit, and the table styled as exquisitely as any window display design. This is new and delicious territory for luxury retail design.